Venus Express: solar occultation experiment – using the Sun’s light to analyse Venus’ atmosphere, an important technique for exoplanet studies. 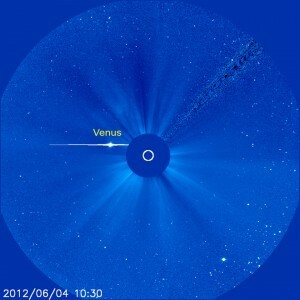 Proba-2: Watching for the dip in solar brightness as soon as Venus’ thick atmosphere makes contact with the Sun’s disc. Hinode: visible, X-ray and UV observations to study the black drop effect and aureole. 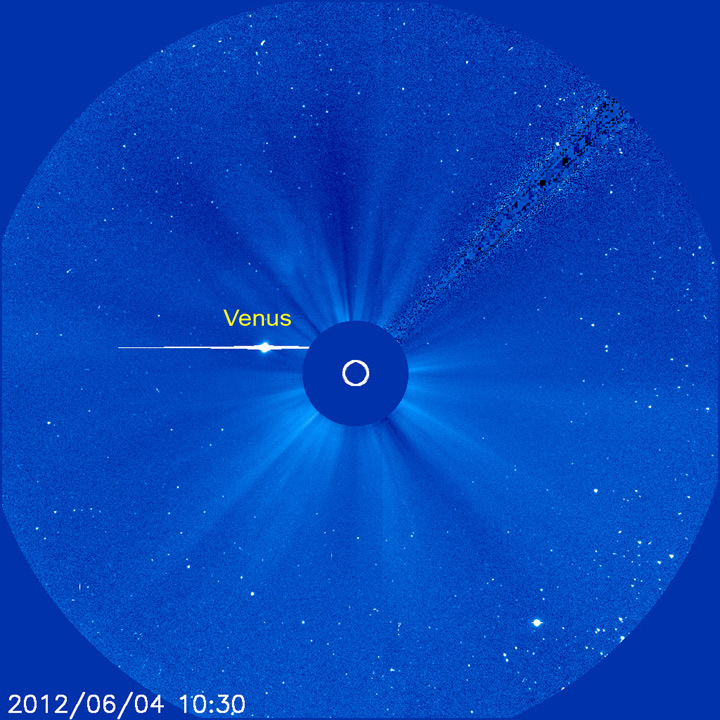 SOHO: views of Venus as it approaches and leaves the Sun. Hubble: using the Moon to collect diffuse reflected sunlight, which will contain a tiny portion of the light that passed through Venus’ atmosphere. For a more in-depth review, see our news story ESA missions gear up for the transit of Venus, published on the space science web portal yesterday. This entry was posted in Transit of Venus and tagged Aureole, Black drop, Exoplanets, Venus transit 2012. Bookmark the permalink.